It is an L-shaped plan building, with both wings looking onto the street. It has a sober aspect, being composed of a basement, a ground floor and one floor up. The edifice was built by the Austrian military authorities. It is not included in G. M. Visconti’s plans elaborated in 1711, but it does appear in K Weiss’s plans, starting with 1731. The facades are separated by a median belt into two equal areas and the windows have equivalents on both levels. The foundation is perforated by vent holes corresponding to the rooms in the basement. The building has a two-sloped roof with interspersed vent holes. Together with the buildings around, it forms an inner courtyard, the access being possible from the shorter, East wing. Over time, a series of extension were built, their use being hard to determine. We only know that the North wing was recorded as the quarters of chapel master Schlauf. In Weiss’s plans, the building is recorded as the Cameral Haus. 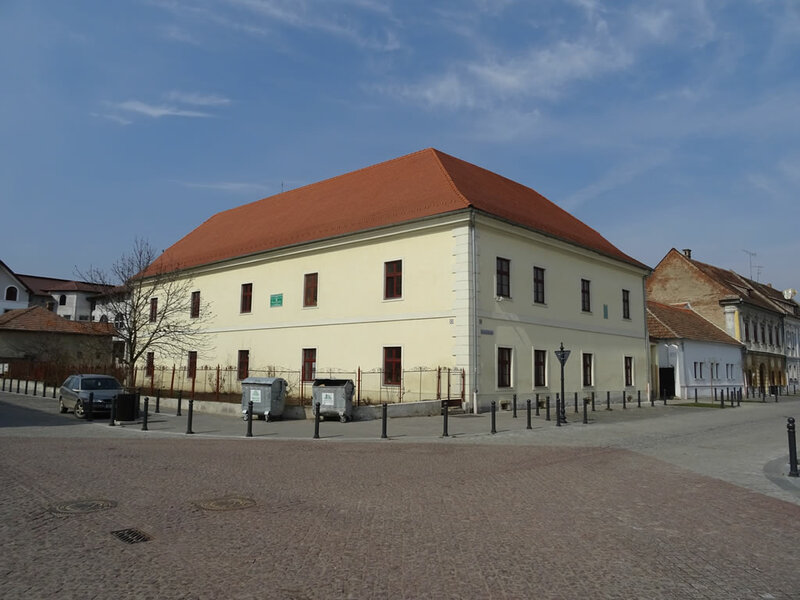 After 1900, the building hosted the offices of the State Administration, the boarding house of the "Mailath" High School, the Assessors’s Office and the State Notary as well as the Creation Workshop of Plastic Artists in Alba Iulia. The building was retroceded to the Roman-Catholic Church a few years ago and at the present it is hosting a wing of the Roman-Catholic Theological Seminary. Location: Nicolae Iorga Street, on the corner of Mitropolit Andrei Șaguna Street.